Regal Academy returns to Nick Jr.
30th October 2017	Entertainment Comments Off on Regal Academy returns to Nick Jr.
Rainbow has confirmed the second season of the hit show will debut on Sunday November 5th. The Pumpkin's Away! 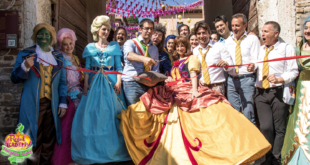 weekend saw fans gather at Italy's Gradara Castle for a range of activities. Under the partnership, Auldey Toys will launch a full line of fashion dolls and playsets, spanning 14 skus across seven assortments. Slated for release on August 13th, Regal Academy will also begin to roll out on Nickelodeon platforms worldwide later this year. The firm will be showcasing three new concepts at the upcoming event as it looks to secure new international partners in numerous categories. 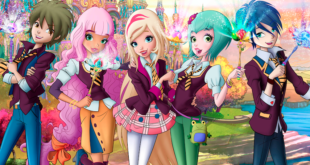 Regal Academy, Maggie & Bianca Fashion Friends and World of Winx are among the new show titles. ‘We’re looking forward to creating some unique and innovative products that represent this unique property, Regal Academy across all the products categories of the Giochi Preziosi Group,’ says Giochi Preziosi. 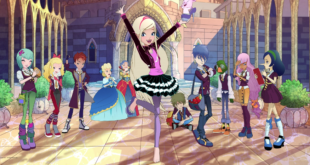 Regal Academy is a new series featuring a mixture of comedy, music and innovative animation techniques. 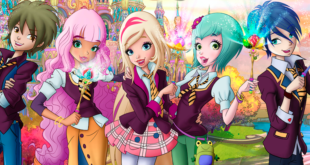 The new agreement will see a range of Regal Academy titles hit the market through bookstores and mass-market outlets.